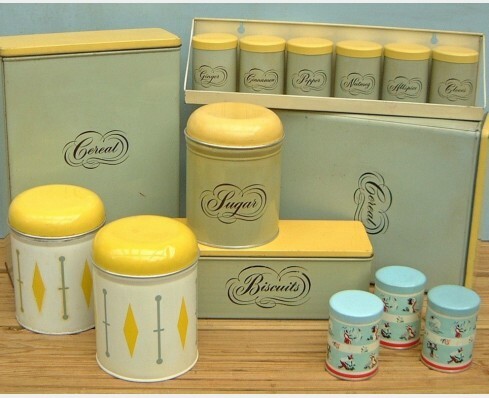 The Festival of Britain influenced Worcester Ware in their pursuance of modernity. Bright colours and geometric shapes dominated their new ranges. 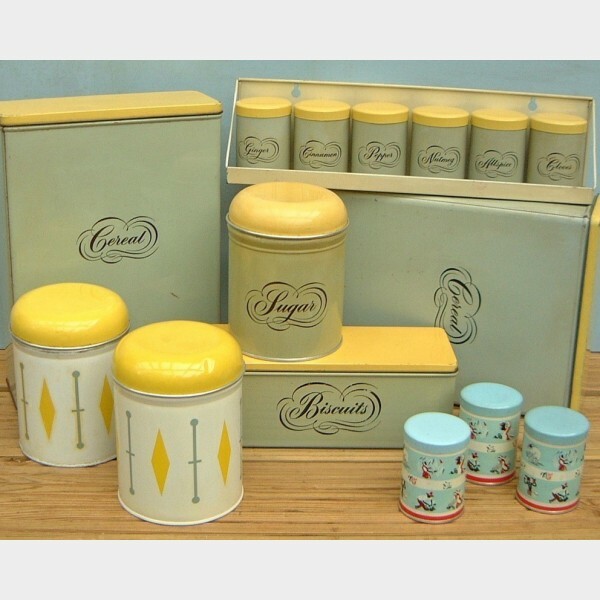 One of our favourites is the yellow, grey and white design with the diamonds which largely adorned canisters. However, we are very taken with a blue and white design with hints of red that depict little illustrations of food. The Tea pickers design remains popular and rare and contrasts remarkedly with the simplicity of the grey and yellow design with black script. But perenial favourites always involved flowers, whether it be spring daffodils or pink summer roses.